Neo Funk, a blend of soul, funk and pop. Deliciously Stanky. Dynamically Funky. Recklessly Hopeful. 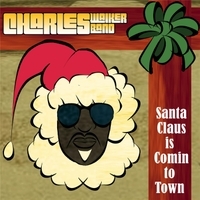 Grounded in soul, the Charles Walker Band has been compared to Prince, Bruno Mars, The Brand New Heavys, James Brown. The Milwaukee based band has refined their sound into Neo-Funk, a fusion of funk infused rhythms with pop melodies. The six-piece band rehearses relentlessly in Charles’ basement, amidst couches and low ceilings, the trombonist having to stoop the entire time, trying to always ask: How can this be tighter? How can this song look different than the last? How can we get fans involved? Fans love the band’s positive energy music and they stay at the band’s shows because they their feel better than when they walked in. The Charles Walker Band is: Deliciously Stanky. Dynamically Funky. Recklessly Hopeful. The core of the Charles Walker Band is a four piece band. Besides Charles & Porsche, Deon J Ellis holds the beat on bass, while Marcus Duckworth nails down the drums. As a testament to the quality of their live performance, the group has opened for national acts including Earth Wind & Fire, the Commodores, BB King, Cameo, Aaron Neville, Robert Cray, Booker T and Richard Marx. The ensemble has been featured on Fox News, NBC “Live in the Morning,” The Morning Blend, Discover Wisconsin, and was the featured artist on the Blues Review and Soul Bag sampler CDs, being nominated four years in a row for best soul/R&B act in Wisconsin by WAMI, winning in 2013.